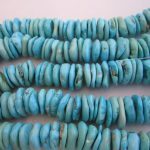 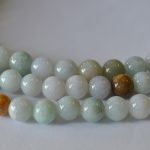 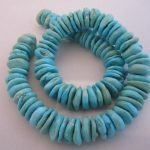 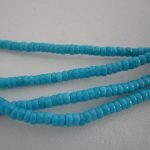 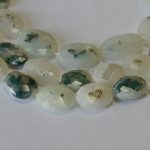 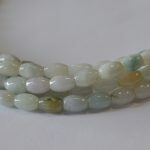 Sleeping Beauty Turquoise Round Flat Nuggets – 14mm approx. 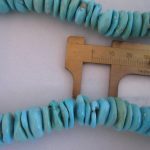 diameter and has a 16″ strand. 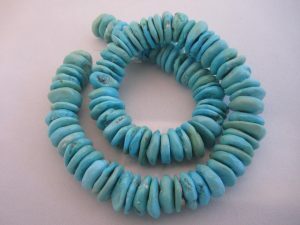 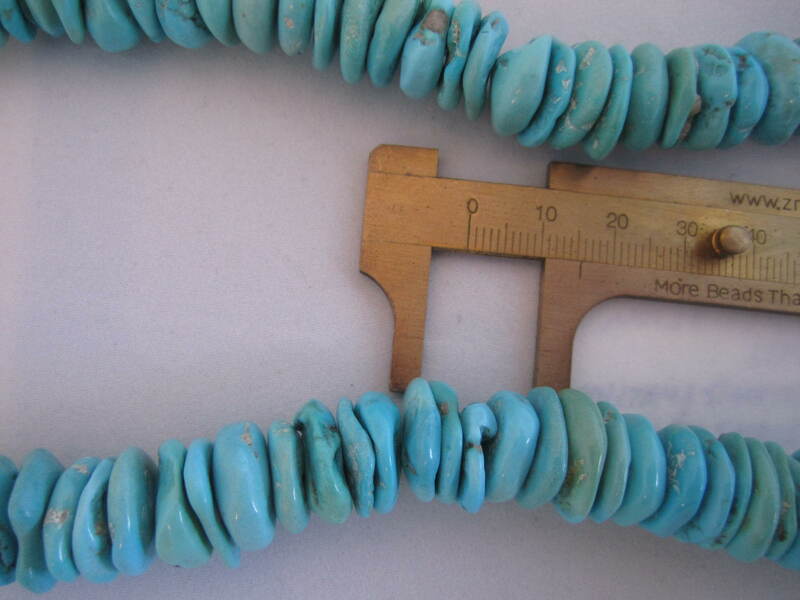 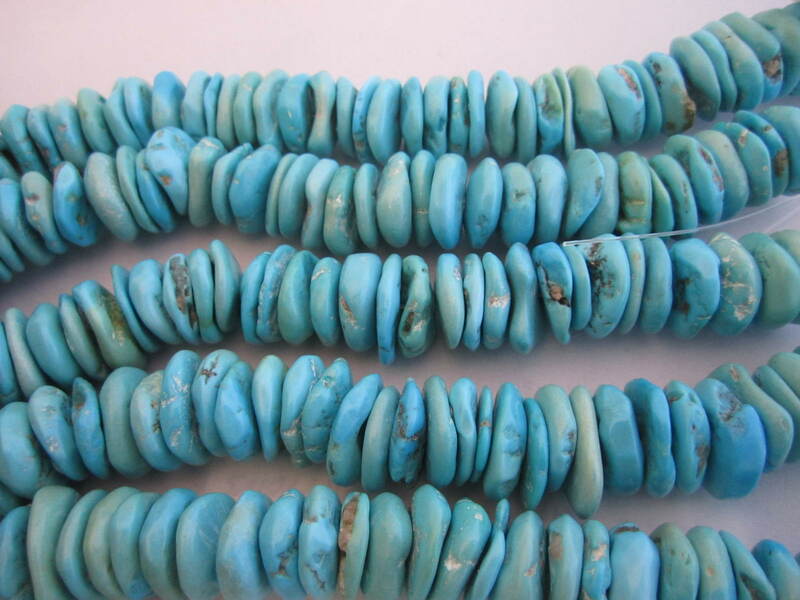 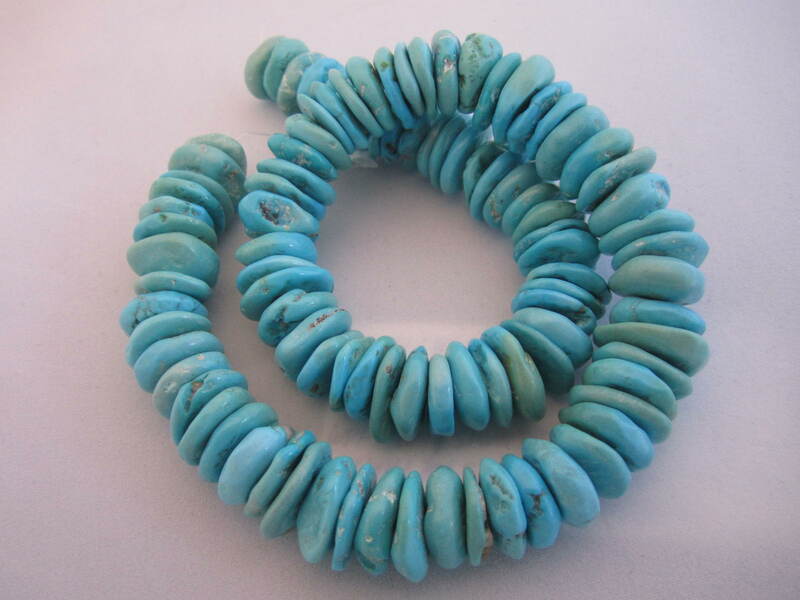 Pretty blue genuine turquoise somewhat irregular and lumpy round flat nuggets are from Globe, Arizona.